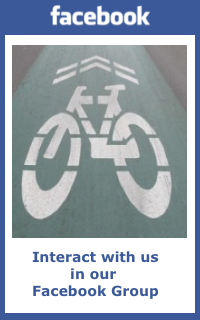 March 17 10AM – 2PM Annapolis State Senate Building – Annual BikeMD Bike Symposium. Mark your calendars, don your green jersey and check www.bikeMD.org soon for more details. Your participation makes a difference! For example, today representatives of BikeMD, BikeAAA, BikeMore and the East Coast Greenway met with the Maryland State Highway Administration and Anne Arundel County Planning & Zoning to discuss proceeding with the planned safety and bike lane improvements to Camp Meade Rd (Rt. 170) in Linthicum. We are happy to report that the project should resume and be completed within 2015. This entry was posted in Events, General, Infrastructure and tagged Facebook. Bookmark the permalink.